I made these muffins a few weeks ago, yet felt mostly uninspired to share them until now. Not because they were bad, but just because they weren’t the best. And don’t you want to hear about only the best? But then I realized that I made this blog not only to share my triumphs, but my flops too, and everything in between. 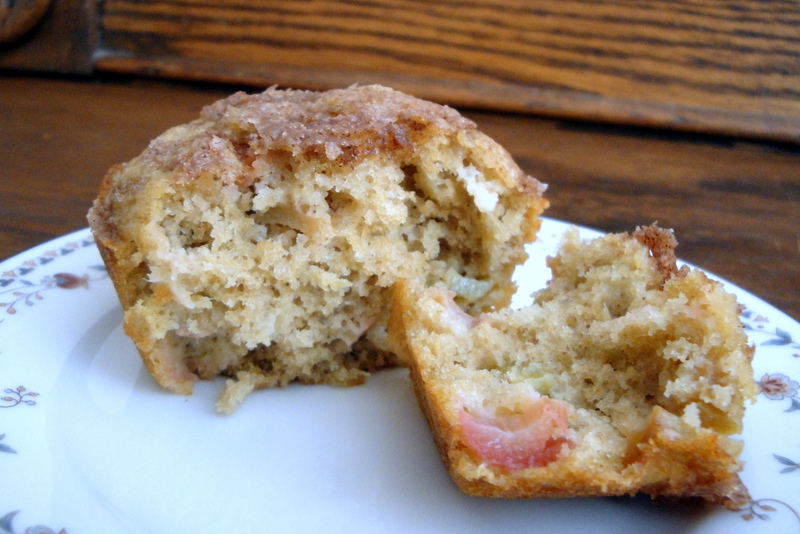 I found this recipe for Rhubarb Yogurt Muffin, and changed it around a bit, making it more healthy and using ingredients that I had in place of ones that I didn’t (like buttermilk in place of yogurt — not necessarily a swap I’d recommend). The result was a very moist and light muffin, but one that tasted distinctly healthy. And if you’re into healthy, then you’d probably really enjoy these! As I said, they weren’t bad, they just didn’t wow me. 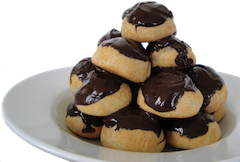 I think if I’d made the recipe as written, I’d have loved them, so perhaps I’ll try again. In the meantime, the recipe below is the original, with my changes. In addition to the muffin recipe, I threw together a streusel (from The Local Cook) to give them a bit more life — for some reason, I like muffins more if they’ve got something going on on top. The streusel definitely gave these muffins a nice little crunch on top — I think it was a good addition! Preheat oven to 350. Grease or line 16 wells in a muffin tin. In a blender or food processor pulse the yogurt (buttermilk) and 1 1/2 cups rhubarb together until smooth. In a large bowl, whisk together the dry ingredients. Set aside. In another large bowl, mix together the rhubarb mixture, oil, eggs and vanilla until well blended (or just pop the oil, eggs and vanilla in the blender on top of the yogurt mixture -- I did this and it worked like a charm) and pulse once or twice then pour it into a bowl). Add the dry ingredients. Mix the batter thoroughly then fold in remaining rhubarb. Fill each muffin well about 3/4 of the way. 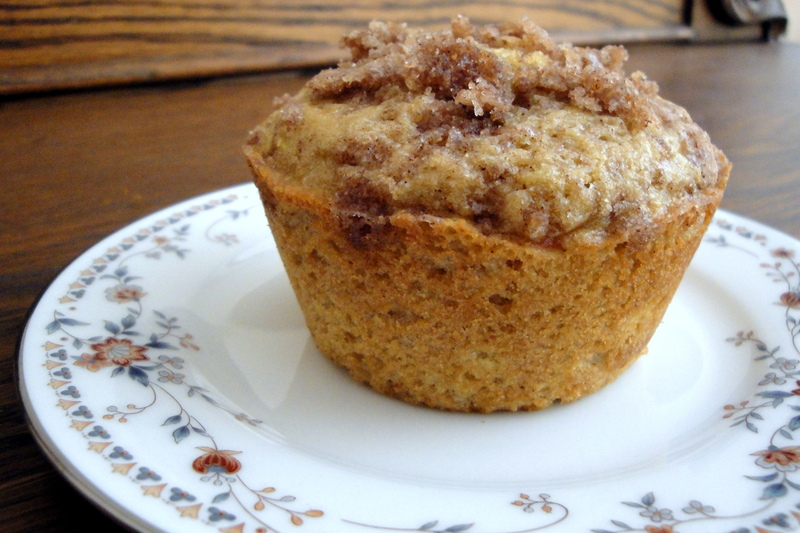 Mix all streusel ingredients together until well combined, then divide evenly over muffin batter. Bake for 20 minutes or until a toothpick inserted into the center of the center muffin comes out with just a few dry crumbs. Cool on wire rack. I had my first day of big girl life today — I started my new job! It was exciting and went well, but I’ll tell ya, it’s going to take some serious re-adjustment to get up so early every day! But I’m glad to be doing something with myself again, and finally in a place where I am supporting myself! Ahh, growing up. Nothing quite like it. I am very nearly caught up with blog posts now, just one left to come and you don’t wanna miss it! I’ll give you a hint: it has something to do with chocolate and candy bars!! So so so SO good, it’ll blow these muffins out of the water. That one is coming soon!